The Flexlight LC3010 product family is a production-ready, full-featured implementation of the Texas Instruments DLP3000 chipset and TI LightCrafter, which includes the DLPC300 and 0.3″ WVGA DMD. 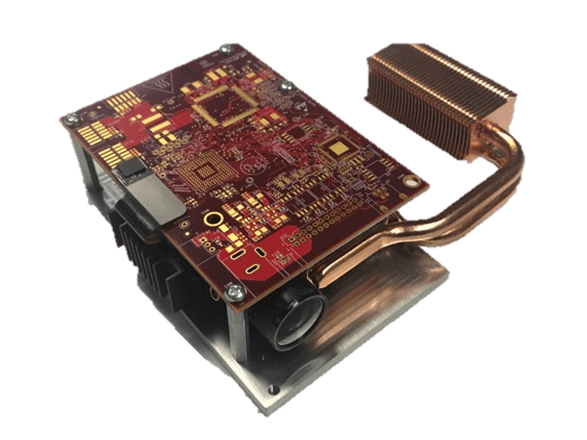 The Flexlight LC3010 module is a production-ready, full-featured implementation of the Texas Instruments DLP3010 chipset and optical engine, which includes the DLPC3478, DLPA3000 and the DLP3010 0.3″ WVGA DMD. This DLP-based platform provides fast development for end equipment requiring small form factor, lower cost and intelligent, high-speed pattern display. It features the 0.3″ WVGA chipset (DLP3010), provides a variety of embedded functionality such as: structured light pattern projection, intelligent lighting, wavelength selection and portable display. Additional features to the API and electronics include an integrated micro-controller with USB-HID and an optional HDMI expansion board. Two different throw ratios available (1,2 and 1,47), 250 Lumens output.